I’m ready to pull out all of my Christmas decorations. I keep waiting for inspiration to strike, but my new/old house hasn’t told me yet what it wants to be for Christmas this year. sigh It’s really hard to be inspired when so much of your house is under construction/disorganized/covered in dust/a mess. So, yes, I admit it. I’m a little bit jealous of you lucky folks who’ve already started your Christmas decorating. To ease my frustration and hopefully inspire myself, I’ve been taking a look back at my most popular Christmas posts. Perhaps you’re a new reader and I can inspire you too. That would be the best! 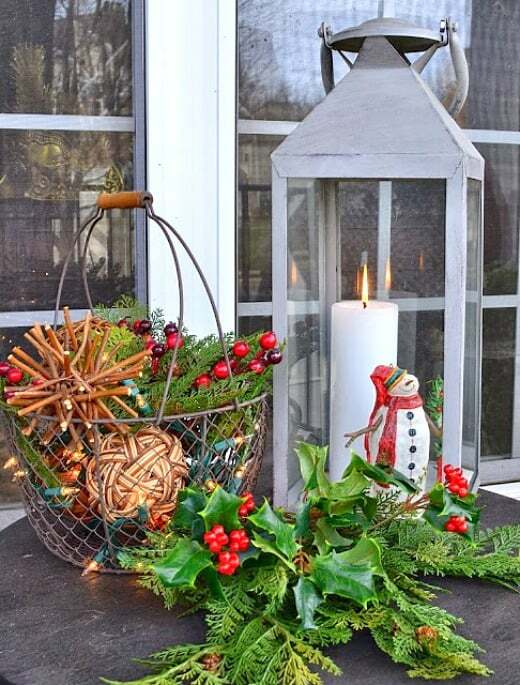 This vignette on my former front porch, from last Christmas, was something that I just threw together, but it has been very popular on Pinterest. 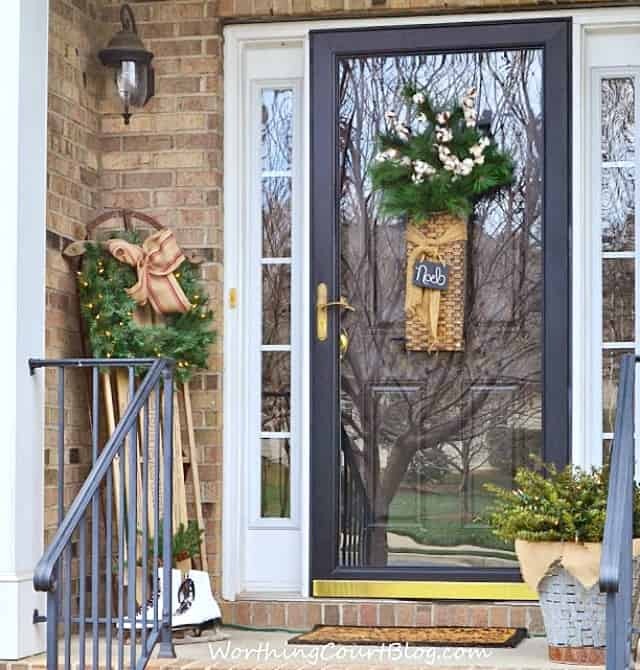 Y’all also loved the sled, ice skates and wreath at my front door last year. 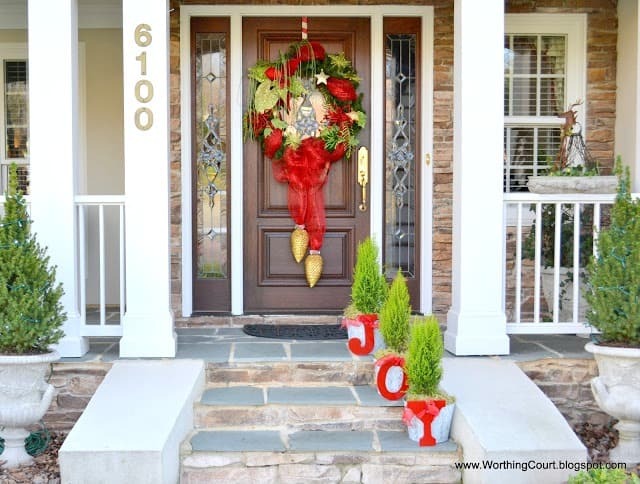 You can see all of the Christmas decorations from last year in my entire house by clicking HERE. 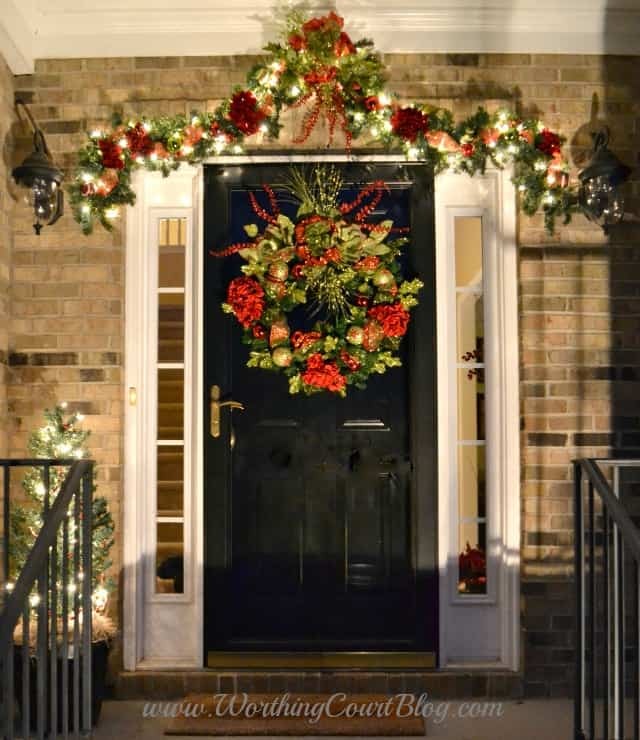 My front entry from a previous year was entirely different, but it was even more popular with all of you. This shot, taken at night, has been featured on several sites. You always love it anytime that I post about my friend, Nancy’s, gorgeous home. You sure did love her front porch. 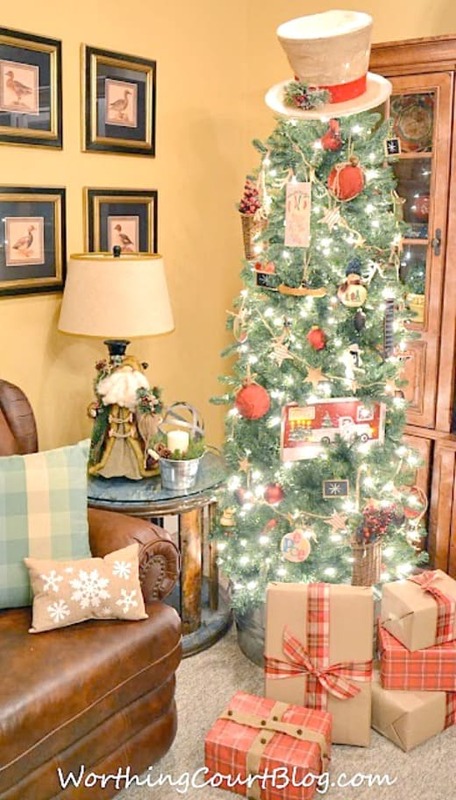 While we’re talking about Nancy’s home, y’all loved the lavish decorations in her foyer too. By the way, I’ve featured Nancy’s home and tablescapes many times. Click HERE to see more of her home. 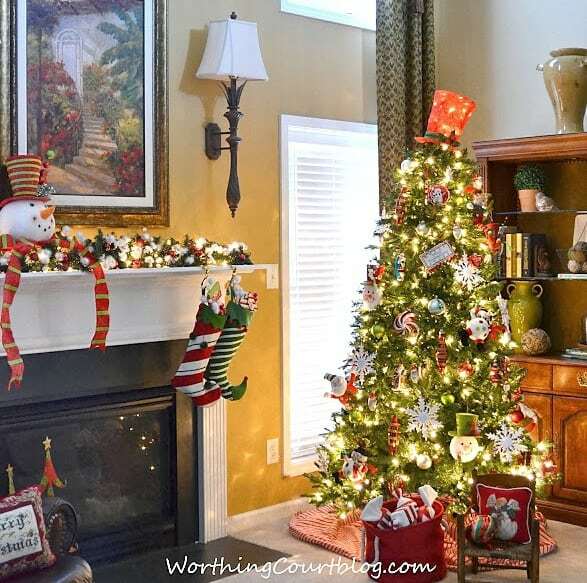 When it comes to trees and mantels, you loved my snowman tree topper that I used as part of my fireplace mantel decorations and my whimsical Christmas tree. 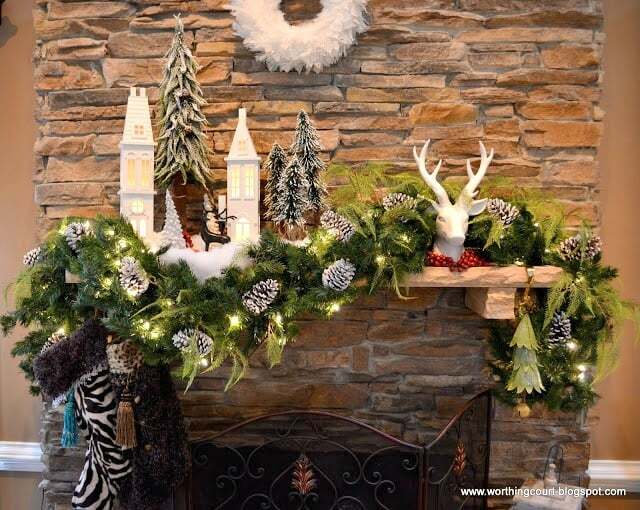 And Nancy’s fabulous mantel was a big hit too. 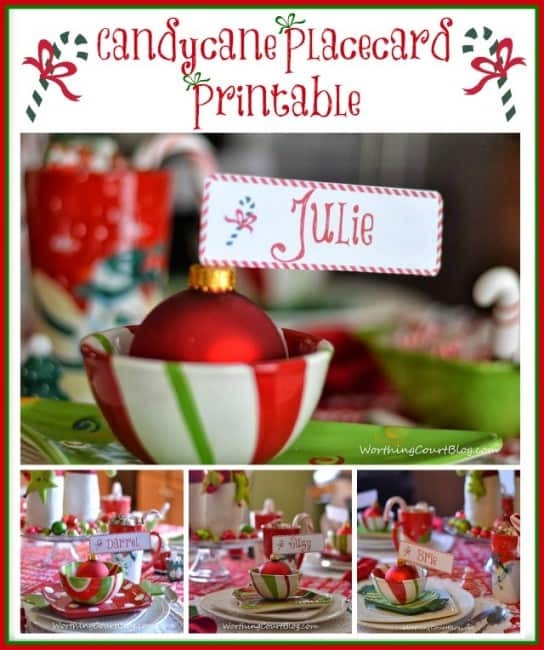 A lot of you must have set your tables with red and green for Christmas last year, because these cute place card printables, that can also be used as gift tags, were downloaded quite a bit. 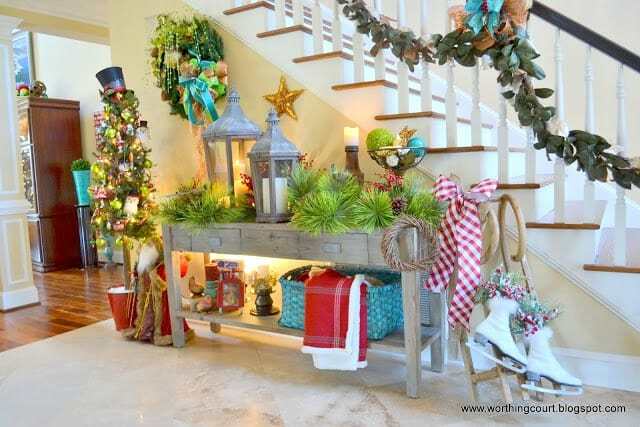 Down in the basement of my former house, I decorated for Christmas with a rustic vibe. It just seemed to fit the space. 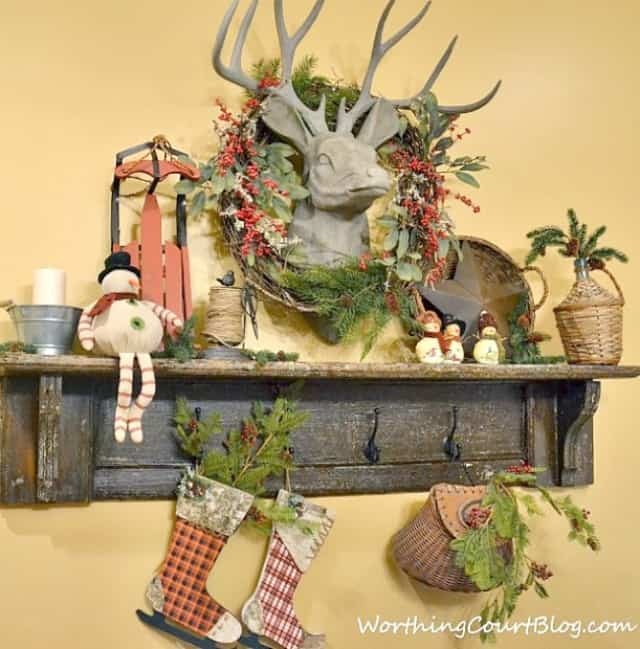 My repurposed fireplace mantel turned rustic shelf was a big hit. And my burlap snowman hat topped rustic Christmas tree was pretty popular too. I could go on and on, but I know that tomorrow is Thanksgiving so I’ll stop here. I know everyone is super busy, but I don’t want to leave without saying how truly thankful I am for all you! I’ve made so many wonderful friends over the last few years and that is priceless! I’ll see you next week when I’ll have something pretty from my new kitchen. I see plenty of inspiration right here 🙂 You’re so creative and talented, I can’t wait to see what you do this year! so many wonderful things to look at! happy holidays.